By now, no reasonable person can deny the overwhelming bias in our mainstream news sources. When some shooting occurs, the first questions directed to law enforcement officials at the news conference are seldom about the perpetrator. Instead, it’s, “What kind of gun did they use? Where did they get the gun? Was it an ‘assault rifle?’” In other words, it’s all about the gun. Conversely, when it comes to cases when armed civilians successfully defend themselves or others, guns are either left out of the story or their role is downplayed dramatically. However, the media is only the tip of the propaganda iceberg — and not even the most influential in shaping public opinion. 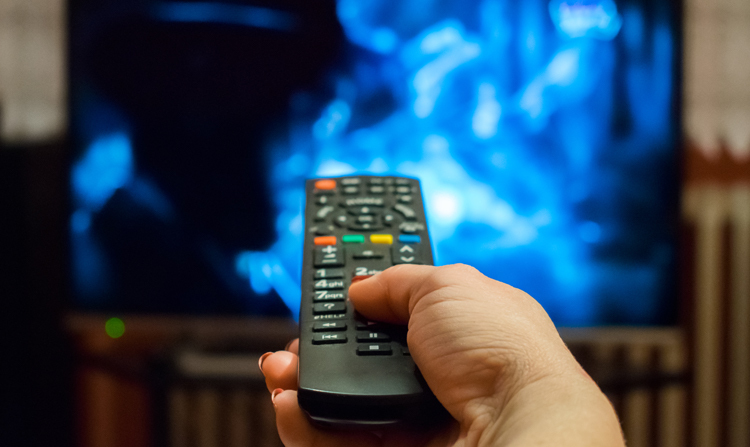 In reality, entertainment programming, whether TV, movies or even “original content” streamed on your various devices, has become the primary vehicle for anti-gun propaganda. And it is very effective. For example, think about the number of times you see fully automatic weapons used in shows based on law enforcement. Whether the protagonists are street cops, FBI or undercover narcotics agents, the bad guys are invariably armed with full-auto AKs, ARs and even high-end guns like FN SCARs and H&K MP5 submachine guns. But ask any working police officers (even those in major cities) how many times they actually run into such weapons. The answers run from “Never in my 20 years on the force” to “Once, back in the ‘80s, during the Florida cocaine wars” to “The L.A. bank robbery in ’97.” Other than that, full-autos are almost non-existent in street crime. Unfortunately, reality matters little. Images of bad guys blazing away in show after show become embedded in the brains of everyone watching. Over time, the perception attains a life of its own. Thus, when anti-gun politicians mention “assault weapons” bans, a disturbing number of otherwise logical people think they’re talking about “you know, those machine guns.” Both politicians and the media continue to encourage this misunderstanding. Note that these are not attempts to entertain but to persuade. In a recent episode of one of those “doctor” shows, the main character is being interviewed by a reporter on the shooting by police of two young boys. Such exaggerated nonsense is just that to most of us — nonsense. But you and I are not the intended target — the gullible public is. Make no mistake, Hollywood’s war on guns is only going to get worse. The anti-gun money poured into this latest election should serve as a warning. In 2020, Bloomberg, Soros and the rest of the usual suspects will be spending even more. We all need to be aware of the incredible surge in anti-Second-Amendment propaganda masquerading as “entertainment.” And be prepared to challenge politicians who attempt to capitalize on an ignorant and misinformed public. This is a pretty funny article about MERS and how it is mostly a full of it mortgage/note handling process that bilks county recorder out of millions in recording mortgage docts per year, plus it can often create havoc in foreclosure/assignment/purchase cases. Before I jump into this decision by a U.S. Bankruptcy Court Judge in New York, I just want to acknowledge that I very rarely write about MERS. And it’s not an accident; I’ve chosen not to do so… until now, anyway. Perhaps I’ve been wrong not to cover the MERS debacle in greater detail, but the reason I haven’t is that I view some of the issues related to MERS as kind of… well, pedestrian… not to put too fine a point on it. Other than a few good decisions by courts that have barred MERS from foreclosing, it just seemed to me that the problems presented by MERS could be fixed, and therefore I didn’t want homeowners who read my column to put too much stock in their loan being a MERS loan, as doing much for them if they find themselves at risk of foreclosure. This decision has done a lot to change my view of MERS and the role it plays in foreclosures. The judge in this case presents a damn strong, if non-binding case why MERS may in fact be a much larger problem than I thought it was. And so… without further delay, I present to you… the “Agard Decision”. The Set Up: U.S. Bank, as the trustee for one First Franklin Mortgage Loan Trust 2006-FF12, Mortgage Pass-Through Certificates, Series 2006-FF12… which all just means that we’re talking about a REMIC trust containing a securitized pool of mortgages… moves to obtain relief from the automatic stay created by a Chapter 7 bankruptcy filing, in order to complete the foreclosure of Ferrel Agard’s home. 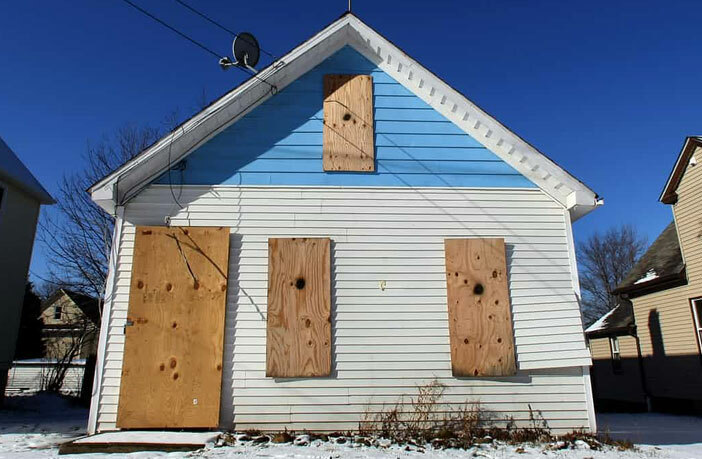 New York State courts had already ruled and a foreclosure judgment was issued, so now U.S. Bank as trustee just needed to finish things out by obtaining relief from the automatic stay so they can proceed with selling the home. Records show that the bankruptcy trustee expected a routine, no assets case… file report, collect fee, end of case. U.S. Bank, represented by its loan servicer, Select Portfolio Servicing (“SPS”), who was in turn represented by Buffalo’s most infamous foreclosure mill, Steven J. Baum PC, must have thought about the same… a straight forward foreclosure case, lets get rid of the deadbeats and be home by dinner. But, in today’s fast changing world of Fraudclosuregate, things are not always as they appear, and crap that flew yesterday may not fly again tomorrow. The Opposition: On October 27, 2010, the borrower’s attorney filed a single page document on which the type was double-spaced. It was a “partial opposition to the motion for relief from stay” that U.S. Bank had filed, and it suggested to the judge that perhaps there might be some sort of small problem with the MERS assignment. It also, in so many words, posited: Who the heck was Select Portfolio Services and why did they have any role in the case anyway? After that, one might say… the fit hit the shan. The Hearing: At a hearing held on November 15, 2010, the judge must have more than just hinted that he was going to look very carefully at this whole MERS thing, because he suggested that the parties might want to consider filing some real legal briefs on the subject, and he made it clear that he would be holding a real hearing on the issues on December 15, 2010, just one month down the road. The Response: All of a sudden nothing was at it seemed just days before… SPS asks the court for more time and rushes out for reinforcements, bringing in a “tall building” law firm from New York City to replace the relative pikers at Baum’s Mill. The newly retained big city lawyers file a major brief in support of the U.S. Bank/SPS position on December 8th. Then, on December 9th, MERS shows up, metaphorically at least with lights flashing and sirens blaring, to file an “emergency motion to intervene,” crying in sheer panic that their entire national business model is being attacked and that the result can be nothing less than the end of the world as we all know it. They bring in a sworn declaration from MERS Treasurer and Corporate Secretary, William Hultman on December 10th, that explains what an entirely fabulous and utterly wonderful invention MERS actually is, and then… I suppose afraid that the one Hultman declaration just might not carry the day they show up with yet another declaration from MERS Treasurer and Corporate Secretary, William Hultman on December 23rd. The judge then begins to dig into the matter. Perhaps he was waiting for a case such as this one, or perhaps some other forces were in play, but regardless… for MERS… this was the wrong judge on the wrong day. The Decision: Judge Grossman devotes the first half of his opinion to discussing whether he even has the legal authority to look into how U.S. Bank obtained this mortgage in the first place, since it already had obtained a foreclosure judgment in state court, and because there is an irritating (to Federal judges) and arcane Rooker-Feldman doctrine that prohibits federal courts from interfering with state court judgments. Alas, our intrepid judge concludes on page 18 of his decision that Rooker-Feldman does in fact preclude him from looking further into the issues that underlie the U.S. Bank foreclosure judgment. And, as a result, Judge Grossman decides that he must grant U.S. Bank’s motion for relief from the bankruptcy automatic stay so that the trustee can complete the foreclosure. Now, were we talking about most judges, that would represent the end of this proverbial road… the opinion would be dated and signed and I would not be writing about the case now. But we’re not talking about most judges… we’re talking about the Honorable Judge Robert E. Grossman of the U.S. Bankruptcy Court, and he’s apparently not a judge with which one should trifle. Now, clearly this is a decision that’s worth reading for one’s self… Judge Grossman is one heck of a writer and not one to play patty-cake with MERS or those of the banking persuasion, but I thought I’d at least provide the overview of the decision with “training wheels” for those who aren’t of the mind to wade through the entire text of the decision themselves, or who find these things next to impossible to read and understand. Here’s the overview of the Memorandum Decision in its entirety… with my clarifications added for those who find them valuable. If you’re a lawyer or just an uber-smartee, just scroll on down to the imbedded document for a copy of Judge Grossman’s decision in its entirety. The Debtor filed limited opposition to the Motion contesting the Movant’s standing to seek relief from stay. The Debtor argues that the only interest U.S. Bank holds in the underlying mortgage was received by way of an assignment from the Mortgage Electronic Registration System a/k/a MERS, as a “nominee” for the original lender. The Debtor’s argument raises a fundamental question as to whether MERS had the legal authority to assign a valid and enforceable interest in the subject mortgage. Because U.S. Bank’s rights can be no greater than the rights as transferred by its assignor – MERS – the Debtor argues that the Movant, acting on behalf of U.S. Bank, has failed to establish that it holds an enforceable right against the Property.1. This references the single page, double-spaced document I described that was filed by the borrower’s attorney, called a “partial opposition to the motion top relief from stay”. It raised some questions that the judge would later seek to answer. The Movant later supplemented its papers taking the position that U.S. Bank is a creditor with standing to seek relief from stay by virtue of a judgment of foreclosure and sale entered in its favor by the state court prior to the filing of the bankruptcy. The Movant argues that the judgment of foreclosure is a final adjudication as to U.S. Bank’s status as a secured creditor and therefore the Rooker-Feldman doctrine prohibits this Court from looking behind the judgment and questioning whether U.S. Bank has proper standing before this Court by virtue of a valid assignment of the mortgage from MERS. This is the part that caused Judge Grossman to back down in this particular instance and allow the relief from automatic stay, thus allowing the foreclosure to proceed. Basically, he concludes that he’s not allowed to question the facts that underlie the foreclosure judgment that was previously granted by the state court. The Debtor also questions whether Select Portfolio has the authority and the standing to seek relief from the automatic stay. The Movant argues that Select Portfolio has standing to bring the Motion based upon its status as “servicer” of the Mortgage, and attaches an affidavit of a vice president of Select Portfolio attesting to that servicing relationship. Case law has established that a mortgage servicer has standing to seek relief from the automatic stay as a party in interest. See, e.g., Greer v. O’Dell, 305 F.3d 1297 (11th Cir. 2002); In re Woodberry, 383 B.R. 373 (Bankr. D.S.C. 2008). This presumes, however, that the lender for whom the servicer acts validly holds the subject note and mortgage. Thus, this Decision will focus on whether U.S. Bank validly holds the subject note and mortgage. I think the judge is saying that servicers do have standing to seek relief from an automatic stay that results from a borrower filing bankruptcy, but that such standing presumes that the lender being represented by the servicer validly holds the note and mortgage, and that the decision will address that issue. The Court received extensive briefing and oral argument from MERS, as an intervenor in these proceedings, which go beyond the arguments presented by the Movant. In addition to the rights created by the mortgage documents themselves MERS argues that the terms of its membership agreement with the original lender and its successors in interest, as well as New York state agency laws, give MERS the authority to assign the mortgage. MERS argues that it holds legal title to mortgages for its member/lenders as both “nominee” and “mortgagee of record.” As such, it argues that any member/lender, which holds a note secured by real property, that assigns that note to another member by way of entry into the MERS database, need not also assign the mortgage because legal title to the mortgage remains in the name of MERS, as agent for any member/lender, which holds the corresponding note. MERS’s position is that if a MERS member directs it to provide a written assignment of the mortgage, MERS has the legal authority, as an agent for each of its members, to assign mortgages to the member/lender currently holding the note as reflected in the MERS database. Although the Court is constrained in this case to give full force and effect to the state court judgment of foreclosure, there are numerous other cases before this Court, which present identical issues with respect to MERS and in which there have been no prior dispositive state court decisions. This Court has deferred rulings on dozens of other motions for relief from stay pending the resolution of the issue of whether an entity which acquires its interests in a mortgage by way of assignment from MERS, as nominee, is a valid secured creditor with standing to seek relief from the automatic stay. It is for this reason that the Court’s decision in this matter will address the issue of whether the Movant has established standing in this case notwithstanding the existence of the foreclosure judgment. The Court believes this analysis is necessary for the precedential effect it will have on other cases pending before this Court. The next paragraph of the judge’s decision is particularly telling. It is Judge Grossman completely disregarding perhaps MERS’ favorite argument, which is that MERS has to be okay because half the mortgages in this country are registered with MERS and if it’s not okay, the whole world will come to an end. The Court recognizes that an adverse ruling regarding MERS’s authority to assign mortgages or act on behalf of its member/lenders could have a significant impact on MERS and upon the lenders, which do business with MERS throughout the United States. Did you hear that sound? That was the sound of the MERS ship hitting an iceberg and starting to sink. To the lifeboats, banker-people, your ship is sinking, and the water’s damn cold. And on that note, it’s once again time to Sing-Along with Mandelman! You remember the song from our youth about “How they built the ship Titanic to sail the ocean blue? And they thought they had a ship that the water would never leak through. But the Lord’s almighty hand, knew that ship would never stand… it was sad when the great ship went down. It was sad, so sad… it was sad, so sad…” You remember that one right? Alrighty then… so, sing it like you mean it… with feeling… and if you don’t want to sing, maybe you should be reading about this stuff on Naked Capitalism, or Firedog Lake… Yves Smith is smarter than all get out, but when was the last time she led you in song? We were glad when the MERS ship went down. To not care exactly how, someone’s loan had been assigned. But the courts did not agree, and soon homes could not be seized. Okay, so I know there are at least a few people out there singing along with that little ditty from days spent at summer camp or on the school bus while on the way home from a field trip. Maybe next time I’ll work from Bingo Was His Name-O, or 100 bottles of Beer on the Wall. Meanwhile, you’ve got plenty to do reading Judge Grossman’s decision as provided below. But, before you do, here are a few highlights, once again for those who want the Reader’s Digest Version. First, MERS points out that the Mortgage itself designates MERS as the “nominee” for the original lender, First Franklin, and its successors and assigns. In addition, the lender designates, and the Debtor agrees to recognize, MERS “as the mortgagee of record and as nominee for ‘Lender and Lender’s successors and assigns’” and as such the Debtor “expressly agreed without qualification that MERS had the right to foreclose upon the premises as well as exercise any and all rights as nominee for the Lender.” (MERS Memorandum of Law at 7). These designations as “nominee,” and “mortgagee of record,” and the Debtor’s recognition thereof, it argues, leads to the conclusion that MERS was authorized as a matter of law to assign the Mortgage to U.S. Bank. Although MERS believes that the mortgage documents alone provide it with authority to effectuate the assignment at issue, they also urge the Court to broaden its analysis and read the documents in the context of the overall “MERS System.” According to MERS, each participating bank/lender agrees to be bound by the terms of a membership agreement pursuant to which the member appoints MERS to act as its authorized agent with authority to, among other things, hold legal title to mortgages and as a result, MERS is empowered to execute assignments of mortgage on behalf of all its member banks. MERS explains that subsequent to the mortgage’s inception, First Franklin assigned the Note to Aurora Bank FSB f/k/a Lehman Brothers Bank (“Aurora”), another MERS member. According to MERS, note assignments among MERS members are tracked via self-effectuated and self-monitored computer entries into the MERS database. As a MERS member, by operation of the MERS membership rules, Aurora is deemed to have appointed MERS to act as its agent to hold the Mortgage as nominee. Aurora subsequently assigned the Note to U.S. Bank, also a MERS member. By operation of the MERS membership agreement, U.S. Bank is deemed to have appointed MERS to act as its agent to hold the Mortgage as nominee. Then, according to MERS, “U.S. Bank, as the holder of the note, under the MERS Membership Rules, chose to instruct MERS to assign the Mortgage to U.S. Bank prior to commencing the foreclosure proceedings by U.S. Bank.” (Affirmation of William C. Hultman, ¶12). MERS argues that the express terms of the mortgage coupled with the provisions of the MERS membership agreement, is “more than sufficient to create an agency relationship between MERS and lender and the lender’s successors in interest” under New York law and as a result establish MERS’s authority to assign the Mortgage. In the Motion, the Movant asserts U.S. Bank’s status as the “holder” of the Mortgage. However, in order to have standing to seek relief from stay, Movant, which acts as the representative of U.S. Bank, must show that U.S. Bank holds both the Mortgage and the Note. Mims, 438 B.R. at 56. Although the Motion does not explicitly state that U.S. Bank is the holder of the Note, it is implicit in the Motion and the arguments presented by the Movant at the hearing. However, the record demonstrates that the Movant has produced no evidence, documentary or otherwise, that U.S. Bank is the rightful holder of the Note. Movant’s reliance on the fact that U.S. Bank’s noteholder status has not been challenged thus far does not alter or diminish the Movant’s burden to show that it is the holder of the Note as well as the Mortgage. Under New York law, Movant can prove that U.S. Bank is the holder of the Note by providing the Court with proof of a written assignment of the Note, or by demonstrating that U.S. Bank has physical possession of the Note endorsed over to it. See, eg., LaSalle Bank N.A. v. Lamy, 824 N.Y.S.2d 769, 2006 WL 2251721, at *1 (N.Y. Sup. Ct. Aug. 7, 2006). The only written assignment presented to the Court is not an assignment of the Note but rather an “Assignment of Mortgage” which contains a vague reference to the Note. Tagged to the end of the provisions which purport to assign the Mortgage, there is language in the Assignment stating “To Have and to Hold the said Mortgage and Note, and also the said property until the said Assignee forever, subject to the terms contained in said Mortgage and Note.” (Assignment of Mortgage (emphasis added)). Not only is the language vague and insufficient to prove an intent to assign the Note, but MERS is not a party to the Note and the record is barren of any representation that MERS, the purported assignee, had any authority to take any action with respect to the Note. Therefore, the Court finds that the Assignment of Mortgage is not sufficient to establish an effective assignment of the Note. By MERS’s own account, it took no part in the assignment of the Note in this case, but merely provided a database, which allowed its members to electronically self-report transfers of the Note. MERS does not confirm that the Note was properly transferred or in fact whether anyone including agents of MERS had or have physical possession of the Note. What remains undisputed is that MERS did not have any rights with respect to the Note and other than as described above, MERS played no role in the transfer of the Note. Absent a showing of a valid assignment of the Note, Movant can demonstrate that U.S. Bank is the holder of the Note if it can show that U.S. Bank has physical possession of the Note endorsed to its name. See In re Mims, 423 B.R. at 56-57. According to the evidence presented in this matter the manner in which the MERS system is structured provides that, “when the beneficial interest in a loan is sold, the promissory note is transferred by an endorsement and delivery from the buyer to the seller [sic], but MERS Members are obligated to update the MERS® System to reflect the change in ownership of the promissory note. . . .” (MERS Supplemental Memorandum of Law at 6). However, there is nothing in the record to prove that the Note in this case was transferred according to the processes described above other than MERS’s representation that its computer database reflects that the Note was transferred to U.S. Bank. The Court has no evidentiary basis to find that the Note was endorsed to U.S. Bank or that U.S. Bank has physical possession of the Note. Therefore, the Court finds that Movant has not satisfied its burden of showing that U.S. Bank, the party on whose behalf Movant seeks relief from stay, is the holder of the Note. So, the judge is saying things that are very similar to what we’ve all heard before, most recently in the Ibanez Decision by the Massachusetts Supreme Court, and in the New Jersey court decision, Kemp v. Countrywide, among numerous others of late. How was the note assigned, was it endorsed properly, can the trustee even produce any evidence that the trust is the holder of the note? Does the trust that thinks that it owns the loan, actually own the loan, and can the trustee produce any evidence that it does own the loan? If the loan was not properly transferred into the trust, and if there is no evidence that the trust owns the loan in question, then it would seem that the investor bought a mortgage-backed security without the mortgage-backed part, and my guess would be that the investors at this point don’t care about the mortgages… they will want their pound of flesh from the bankers whose massive securities fraud has robbed them of untold billions and destroyed the global financial system. I’m not a lawyer, but with the first investor lawsuit against Bank of America – Countrywide having been filed just a couple weeks ago, and saying basically that the investor was delivered mortgage-backed securities without the mortgages, that’s how I’m seeing it start to stack up. Now let’s look at what the judge says about the mortgage itself… you see… it’s supposed to follow the note, but when MERS is in the game, it simply doesn’t. The Movant’s failure to show that U.S. Bank holds the Note should be fatal to the Movant’s standing. However, even if the Movant could show that U.S. Bank is the holder of the Note, it still would have to establish that it holds the Mortgage in order to prove that it is a secured creditor with standing to bring this Motion before this Court. The Movant urges the Court to adhere to the adage that a mortgage necessarily follows the same path as the note for which it stands as collateral. See Wells Fargo Bank, N.A. v. Perry, 875 N.Y.S.2d 853, 856 (N.Y. Sup. Ct. 2009). In simple terms the Movant relies on the argument that a note and mortgage are inseparable. See Carpenter v. Longan, 83 U.S. 271, 274 (1872). By MERS’s own account, the Note in this case was transferred among its members, while the Mortgage remained in MERS’s name. MERS admits that the very foundation of its business model as described herein requires that the Note and Mortgage travel on divergent paths. Because the Note and Mortgage did not travel together, Movant must prove not only that it is acting on behalf of a valid assignee of the Note, but also that it is acting on behalf of the valid assignee of the Mortgage5. Footnote 5 – MERS argues that notes and mortgages processed through the MERS System are never “separated” because beneficial ownership of the notes and mortgages are always held by the same entity. (“In the event that a mortgage loan somehow separates interests of the note and the deed of trust, with the deed of trust lying with some independent entity, the mortgage may become unenforceable”). Yes, you read that last part right. The mortgage may become unenforceable. That’s really the 800-pound Gorilla in the room, isn’t it? Do they own it or not, and if they broke the laws, who wins? Many people get all upset about the idea that a homeowner could not have to pay their mortgage because the laws were broken related to the transfer of the note and mortgage, but I’m starting to think they’re just a bunch of crybabies. The law is the law and if it says that someone doesn’t owe their mortgage, well… good for them. We’re a nation built on laws and forged by lawyers, and there have been a lot of unpopular decisions that rightly stood because they upheld our nation’s laws… Brown v. The Board of Education comes immediately to mind, but there are many. We need our plaintiff’s lawyers, our judges and our courts, if we’re going to live through what’s ahead of us. We certainly can’t depend on our legislature or our executive branches… they have, for the most part, been bought and paid for… our system is corrupt with the money of lobbyists. Only our laws and our courts can see us through this, and I’m willing to abide by whatever they say follows the law. MERS asserts that its right to assign the Mortgage to U.S. Bank in this case, and in what it estimates to be literally millions of other cases, stems from three sources: the Mortgage documents; the MERS membership agreement; and state law. In order to provide some context to this discussion, the Court will begin its analysis with an overview of mortgage and loan processing within the MERS network of lenders as set forth in the record of this case. In the most common residential lending scenario, there are two parties to a real property mortgage – a mortgagee, i.e., a lender, and a mortgagor, i.e., a borrower. With some nuances and allowances for the needs of modern finance this model has been followed for hundreds of years. The MERS business plan, as envisioned and implemented by lenders and others involved in what has become known as the mortgage finance industry, is based in large part on amending this traditional model and introducing a third party into the equation. MERS is, in fact, neither a borrower nor a lender, but rather purports to be both “mortgagee of record” and a “nominee” for the mortgagee. MERS was created to alleviate problems created by, what was determined by the financial community to be, slow and burdensome recording processes adopted by virtually every state and locality. In effect the MERS system was designed to circumvent these procedures. MERS, as envisioned by its originators, operates as a replacement for our traditional system of public recordation of mortgages. MERS argues that it had full authority to validly execute the Assignment of Mortgage to U.S. Bank on February 1, 2008, and that as of the date the foreclosure proceeding was commenced U.S. Bank held both the Note and the Mortgage. However, without more, this Court finds that MERS’s “nominee” status and the rights bestowed upon MERS within the Mortgage itself are insufficient to empower MERS to effectuate a valid assignment of mortgage. There are several published New York state trial level decisions holding that the status of “nominee” or “mortgagee of record” bestowed upon MERS in the mortgage documents, by itself, does not empower MERS to effectuate an assignment of the mortgage. However, the rules lack any specific mention of an agency relationship, and do not bestow upon MERS any authority to act. Rather, the rules are ambiguous as to MERS’s authority to take affirmative actions with respect to mortgages registered on its system. That’s pretty clear, I think. MERS, you’re going down. In addition to casting itself as nominee/agent, MERS seems to argue that its role as “mortgagee of record” gives it the rights of a mortgagee in its own right. MERS relies on the definition of “mortgagee” in the New York Real Property Actions and Proceedings Law Section 1921, which states that a “mortgagee” when used in the context of Section 1921, means the “current holder of the mortgage of record . . . or their agents, successors or assigns.” N.Y. Real Prop. Acts. L. § 1921 (McKinney 2011). The provisions of Section 1921 relate solely to the discharge of mortgages and the Court will not apply that definition beyond the provisions of that section in order to find that MERS is a “mortgagee” with full authority to perform the duties of mortgagee in its own right. Aside from the inappropriate reliance upon the statutory definition of “mortgagee,” MERS’s position that it can be both the mortgagee and an agent of the mortgagee is absurd, at best. Adding to this absurdity, it is notable in this case that the Assignment of Mortgage was by MERS, as nominee for First Franklin, the original lender. By the Movant’s and MERS’s own admission, at the time the assignment was effectuated, First Franklin no longer held any interest in the Note. Both the Movant and MERS have represented to the Court that subsequent to the origination of the loan, the Note was assigned, through the MERS tracking system, from First Franklin to Aurora, and then from Aurora to U.S. Bank. Accordingly, at the time that MERS, as nominee of First Franklin, assigned the interest in the Mortgage to U.S. Bank, U.S. Bank allegedly already held the Note and it was at U.S. Bank’s direction, not First Franklin’s, that the Mortgage was assigned to U.S. Bank. Said another way, when MERS assigned the Mortgage to U.S. Bank on First Franklin’s behalf, it took its direction from U.S. Bank, not First Franklin, to provide documentation of an assignment from an entity that no longer had any rights to the Note or the Mortgage. The documentation provided to the Court in this case (and the Court has no reason to believe that any further documentation exists), is stunningly inconsistent with what the parties define as the facts of this case. This Court finds that MERS’s theory that it can act as a “common agent” for undisclosed principals is not support by the law. For all of the foregoing reasons, the Court finds that the Motion in this case should be granted. However, in all future cases, which involve MERS, the moving party must show that it validly holds both the mortgage and the underlying note in order to prove standing before this Court. It’s very important to realize that the judge’s findings related to MERS in this case are NOT BINDING ON ANY COURT. Cox says he won’t be surprised if the MERS/securitization/foreclosure industry spin mentions this point since the law prohibited the judge from going behind the judgment to see how U.S. Bank got the mortgage, then it also prohibited making binding findings about the MERS issue. Okay, so that about covers it, I’d say. Below you’ll find the Judge Grossman’s decision in its entirety, and hat tip to attorney Thomas Cox of Portland, Maine for bringing this decision to my attention, helping me to understand it, and continuing to go after the bastards with the strength and tenacity of a Mainer. Be Safe Don’t Eat the Fish Or Food From West Coast! It is time for each of us, to do more.. to envision a clean planet… your visions of a clean planet, are more important than envisioning a dirty planet… we already achieved that… now we use our ability to envision, to clean up this joint! Are you powerful enough to envision something that the majority are unable to envision? Watch the mainstream media come up with syndrome and causes…. anything BUT FUKUSHIMA RADIATION. How Does the Violet Flame Work? Remember… together we are victorious! 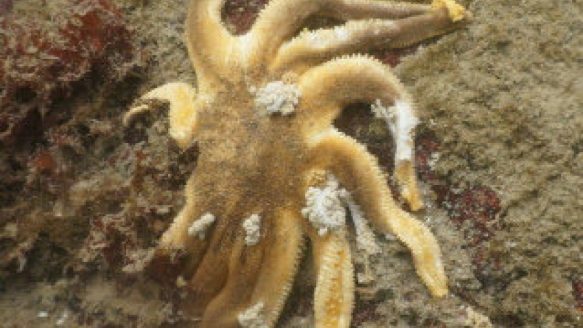 VANCOUVER – Scientists are making some headway in figuring out what is killing millions of sea stars in the waters off the Pacific coast, from British Columbia to Mexico. Globe and Mail, Feb. 27, 2014: Mystery surrounds massive die-off of oysters and scallops off B.C. coast […] Something is killing oysters and scallops in dramatic numbers […] The cause is unknown, but ocean acidification is the main suspect. […] last year, nearby Pendrell Sound had a massive die-off of wild oysters. […] [Rob Saunders, CEO of Island Scallops] has lost 10 million scallops over the past two years, and smaller companies have had similar problems. Mr. Saunders is pushing for a research project to find out what’s happening. […] one of BC’s biggest suppliers of fresh seafood, said the scallop die-off has rung alarm bells. CBC, Feb. 25, 2014: The deteriorating health of B.C.’s oceans […] Millions of shellfish are dying off before they can be harvested at Island Scallops […] researchers will try to determine if acidification is to blame or if other factors are at play. Is the radiation high enough or should we continue to party? SAN FRANCISCO – A federal judge has struck down a set of laws allowing the FBI to issue so-called national security letters to banks, phone companies and other businesses demanding customer information. U.S. District Judge Susan Illston said the laws violate the First Amendment and the separation of powers principles and ordered the government to stop issuing the secretive letters or enforcing their gag orders, The Wall Street Journal reported. The FBI almost always bars recipients of the letters from disclosing to anyone — including customers — that they have even received the demands, Illston said in the ruling released Friday. The government has failed to show that the letters and the blanket non-disclosure policy “serve the compelling need of national security,” and the gag order creates “too large a danger that speech is being unnecessarily restricted,” the San Francisco-based Illston wrote. FBI counter-terrorism agents began issuing the letters, which don’t require a judge’s approval, after Congress passed the USA Patriot Act in the wake of the Sept. 11, 2001, attacks. The case arises from a lawsuit that lawyers with the Electronic Frontier Foundation filed in 2011 on behalf of an unnamed telecommunications company that received an FBI demand for customer information. Illston wrote that she was also troubled by the limited powers judges have to lift the gag orders. That provision also violated the Constitution because it blocks meaningful judicial review. Illston ordered the FBI to cease issuing the letters, but put her order on hold for 90 days so the U.S. Department of Justice can appeal to the 9th U.S. Circuit Court of Appeals. Illston isn’t the first federal judge to find the letters troubling. The 2nd U.S. Circuit Court of Appeals in New York also found the gag order unconstitutional, but allowed the FBI to continue issuing them if it made changes to its system such as notifying recipients they can ask federal judges to review the letters. Illston ruled Friday that it’s up to Congress, and not the courts, to tinker with the letters. 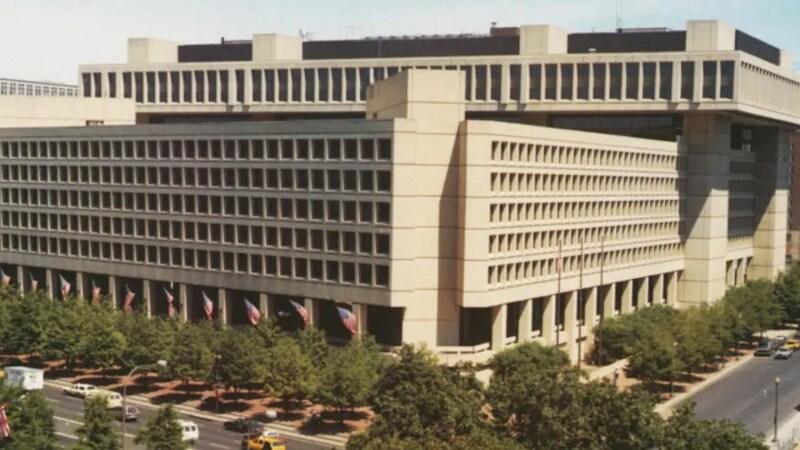 In 2007, the Justice Department’s inspector general found widespread violations in the FBI’s use of the letters, including demands without proper authorization and information obtained in non-emergency circumstances. The FBI has tightened oversight of the system. The FBI made 16,511 national security letter requests for information regarding 7,201 people in 2011, the latest data available. The FBI uses the letters to collect unlimited kinds of sensitive, private information like financial and phone records. Smithsonian Magazine, May 14, 2014: Even Tiny Amounts of Radioactive Food Made Caterpillars Become Abnormal Butterflies […] Researchers in Japan […] discovered, even a small amount of radiation is too much. […] The scientists collected plant material from around Fukushima and fed it to pale grass blue butterfly caterpillars. When the caterpillars turned into butterflies, they suffered from mutations and were more likely to die early [… even if they] had only eaten a small amount of artificial caesium […] In other words, things don’t look good for the animals living around Fukushima.